Your One Source Marketing, Print and Web Solutions Provider! From raffle tickets to 20ft. large format backdrops we can design and print it. Business cards, stationary, brochures, flyers, manuals, forms, pocket folders, books, envelopes, posters, signs, banners, labels, ad specialty items and business apparel are a few of the many products we produce and deliver when you need it and where you need it. Services include on demand digital printing as well as large volume offset. Hybrid combines both digital and offset printing to deliver the best in personalization and economical pricing! Targeted direct mail with our expert data mining services is defined and successful in reaching your key audiences. Follow-up strategies include timed telephone and/or email scripting and digital ad placements to maximize audience reach. 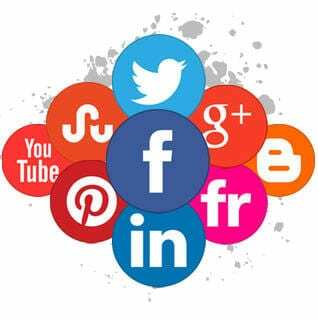 Social Media is important and businesses who are not represented or ignore their presence and activity not only alienate existing customers but are missing opportunities to add new customers. Fox Tracks can help with setting up accounts, developing posting strategies and schedules and coach your company to get the most out of your Social Media. We offer a new software package that will automate your social media utilizing IBM Watson Artificial Intelligence. Attract new customers or publicize your next event with custom signs, banners, window graphics, menu boards, floor graphics, yard signs, political signs, vehicle graphics, magnets, trade show displays, tablecloths and banner stands. We are masters in large format design. Some of Our Happy Clients !